In diesem Gastbeitrag beschreibt Dimitris Efthimiou, Guest Service Manager im Creta Maris Beach Resort, was das griechische Konzept „Korfologima“ im Weinbau bedeutet und wie eine Weinverkostung auf Kreta für Touristen aussehen kann. Bildhaft zeichnet er kretische Sichtweisen, in dem er die generationenübergreifende Bedeutung von Weinanbau und Landwirtschaft auf und für Kreta schildert. “Tipping? Yes, but we never say tipping on Crete… We call it Korfologima,” Marianna Papadaki, one of the Guest Service employees in Creta Maris Beach Resort, said when a guest asked if “Korfologima” means “tipping”, removing the growing tips of the vines. 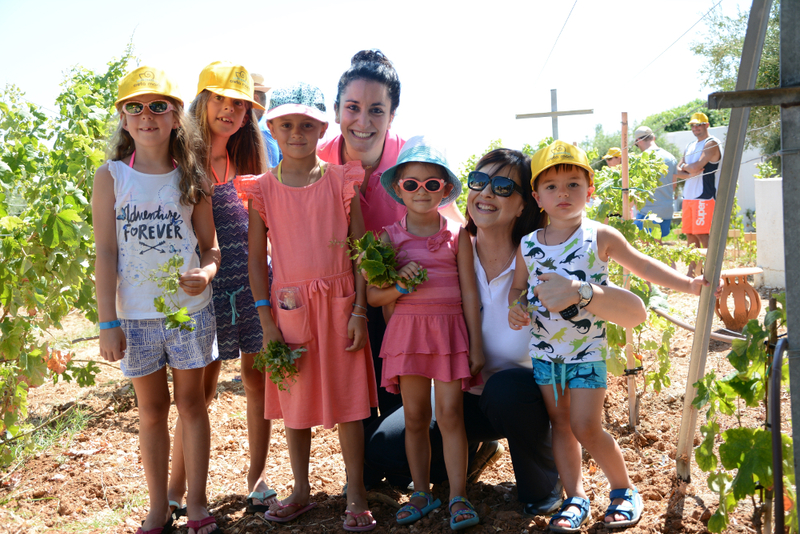 Marianna had just started sharing her personal experiences and memories with hotel guests while presenting them the art of grape cultivation in the hotel vineyard. 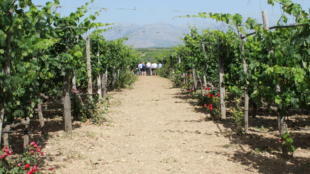 The hotel guests are introduced to “Korfologima” outside of the Creta Maris hotel, in the hotel vineyard. 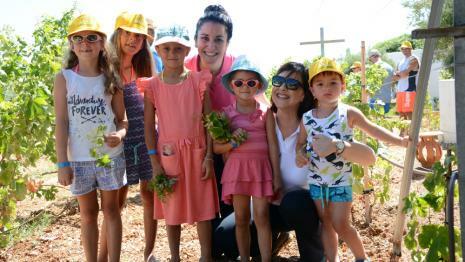 “It is a farm inside Creta Maris Beach Resort… We call it Hotel Farming! 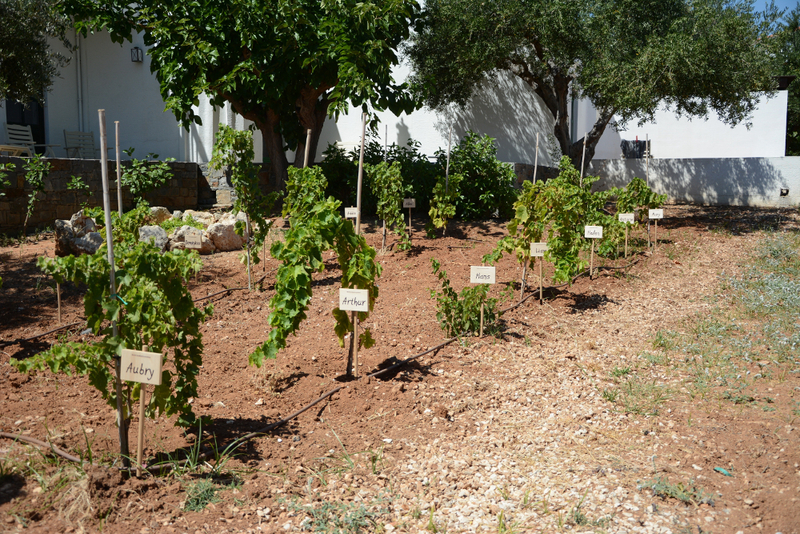 There are 13 indigenous grape varieties in this vineyard and we apply organic vine management (EC Regulation 834/07),” Nikos Vlassiadis, General Manager of Creta Maris, comments to the guests. 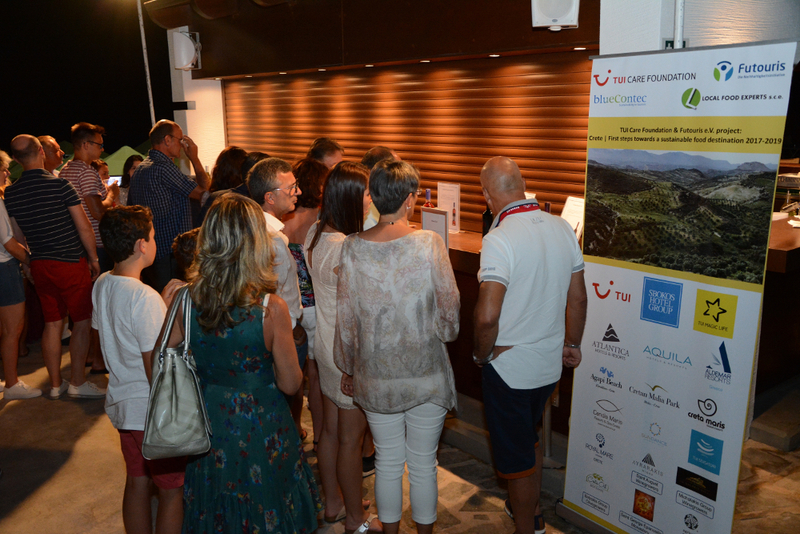 “The sustainable food project carried out by Futouris in cooperation with the TUI Care Foundation creates an excellent platform for highlighting our hotel sustainability practices and communicating them to our guests. 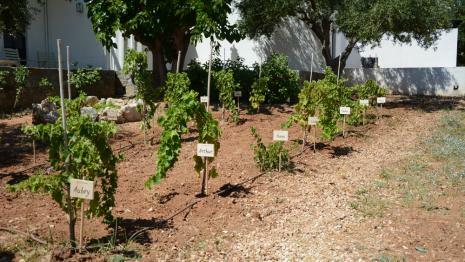 Korfologima is performed for moderating the growth of stems and leaves and allowing the vine to produce better grapes, thus better wine quality”, Nikos Vlassiadis adds. 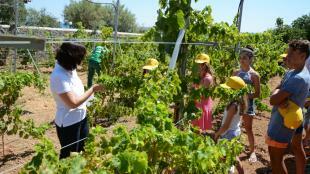 Connection between guests and the Creta Maris vineyard: Vines carry the names of children. 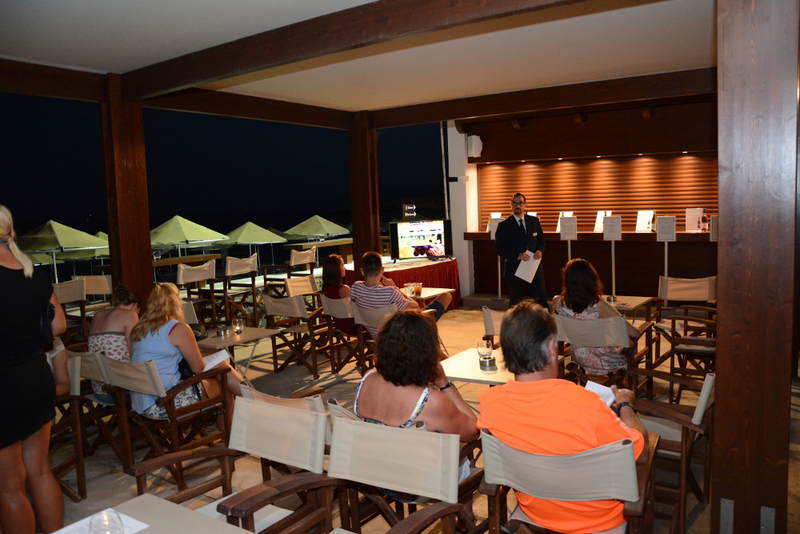 Before ending this presentation, Marianna invites the guests to more interactive experiences in Creta Maris. 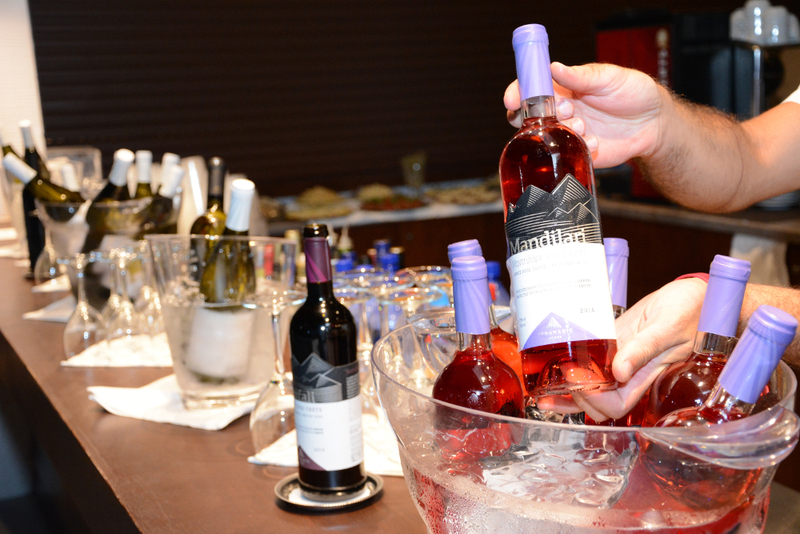 “Don’t miss joining our wine tasting event tonight and be informed about the special characteristics of Cretan Wines! Dimitris and Giorgos will be your guides!” The wine tasting event in Creta Maris that same night highlights the indigenous grape varieties of the island which are cultivated and preserved by the local producers who participate in the sustainable food project on the island of Crete. “My Name ‘Dimitris’ originates from the ancient Greek Goddess Dimitra who, as mentioned in Greek mythology, was the Goddess of harvest and agriculture, the one who presided over grains and the fertility of the earth,” Dimitris Efthimiou, Guest Service Manager of Creta Maris, mentions while creating a very friendly atmosphere among guests who participate in the wine tasting event. “From simple moments and things, we may express easily our feelings and we never choke them. My grandfather was farming his vineyards and I recall times that I watched him dancing by himself just because of his happiness for a good vintage year”, Dimitris remembers. “When he was collecting the grapes, he carried them in baskets like babies, with so much respect. One time I asked him why he was staying every day nine hours in his land although he only needed seven hours to finish his daily tasks. He answered that he needed to stay because his being there touched perfection and perfection only existed in nature. I really thought that I was speaking to a painter who was trying to create a new canvas in the same place every day with a perfect result.” While Dimitris narrates, he takes short breaks and gives Giorgos Kourinos, Maître of Creta Maris, the opportunity to share wine information with the participating hotel guests. Both Dimitris and Giorgos have much knowledge concerning the secrets of Cretan Wine production and they guide guests to discover the wine aromas and their multifaceted aftertaste. Dimitris smiles at Giorgos and they both toast to the guests. Then they split their ways and join the guest tables for sharing stories of wine for the rest of the event.